I stole my boyfriend's shampoo! Okay, as a person with fairly fine/thin hair, I have been looking for a good thickening shampoo and conditioner for ages! I suddenly tried this shampoo when I ran out of mine (it's my boyfriend's). I couldn't believe how well it worked! 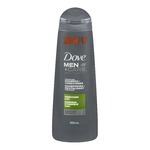 It added a nice body and volume to my hair which I had never experienced using women's shampoo! Definitely a keeper! J'adore la senteur. Mon homme à toujours les cheveux doux après chaque lavage et sent bon pendant plusieurs jours. En plus, c'est un deux en un. Simple et parfait pour l'homme pressé d'aujourd'hui! 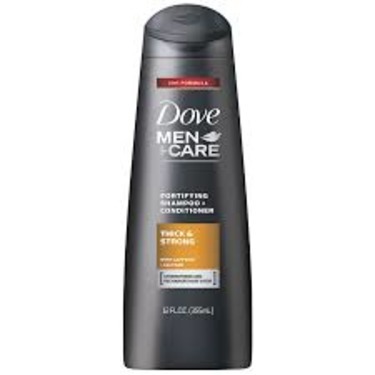 For men with fine and thinning hair, Dove Men+Care Thick & Strong Fortifying Shampoo + Conditioner is specially formulated to make hair visibly thicker and stronger. This 2 in 1 shampoo + conditioner for men contains caffeine and calcium, making both fine and thinning hair stronger and more resilient. 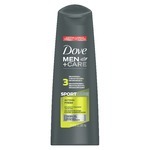 My husband really like this Dove Men + Care Thick & Strong Shampoo & Conditioner! 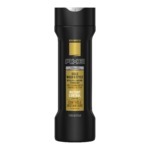 Makes his hair smells good without going over the top "man" scent and his hair feels and looks healthy and clean. He also likes that it is 2 in 1 shampoo for men. The price is on point as well. I see less hair in bathtub when i get out and I am getting old I need all the hair i can keep lol. So i would so recommend this to other people. So thank you Dove for making a great product that I will buy again. My boyfriend loves this product. It really helps to amp up his hair when it's feeling a bit limp. Great to know it's helping keep it thick and strong when mens hair can start thinning. 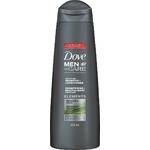 Purchase at the shampoo conditioner for my son as he wanted to try something new, did not like it very strong in smell, it is expensive for the size of bottle would not purchase it again. My husband has sensitive skin and thinning hair. But he loves this shampoo/conditioner because it leaves his hair feeling soft, strong, and healthy. He also loves the fact that it's a two-in-one. I like how his hair smells after.